You can do a lot of things with city builder games. You can replicate real cities, or you can simulate massive natural disasters. A YouTuber going by the name of “donoteat” uses Cities: Skylines to explain the politics and power behind the creation of American cities. The world of Cities: Skylines “builder” YouTubers is substantial. Video creators like Strictoaster and Fluxtrance have carved out a space on the platform for themselves by recording the process of building beautiful cities, landscapes, or strange architectural feats in Skylines, speeding the recordings up, and then talking through their process. Donoteat, who humorously self-describes as a “disgusting neckbearded STEMlord with a degree in civil engineering,” counts himself as a socialist, and whose real name is Justin Roczniak, saw these kinds of Skylines videos and decided to do something different. Roczniak’s main Skylines series is centered on a city named Franklin. The videos are unflinching looks at how American history and politics have created its cities. The series approaches cities from a historical angle, beginning with the time before colonization in North America and then slowly building period-to-period from there. There is no blank slate from which cities emerge, the videos argue, but instead they are founded through mass displacement and control. The early videos are dominated by discussions of trade and mercantile systems because Roczniak is plainly claiming that thinking the American city without taking those things seriously means that you’re not really addressing what cities are. Franklin exists as a kind of allegory for real cities, not being based on any one in particular, but the things that happen in and around the city of Franklin are all based on the history of city development. 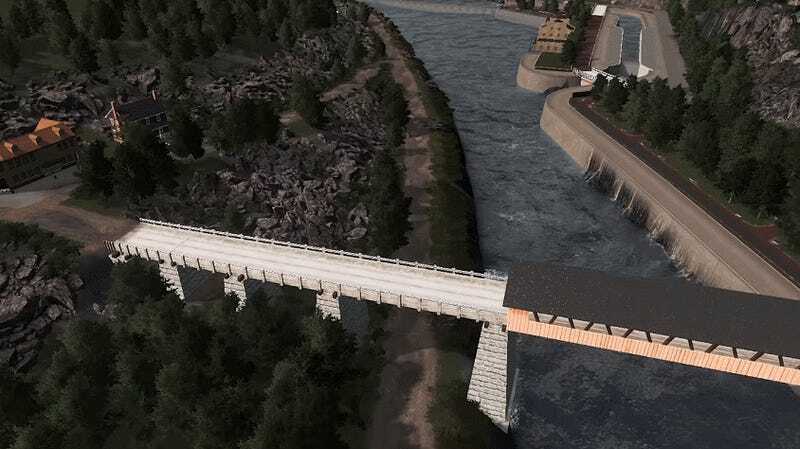 The design decisions we see Roczniak making when he is plopping down water features, roads, or houses are grounded in decisions that have been made in real-world cities. He’s playing out the DNA of the modern urban area with a digital clone. 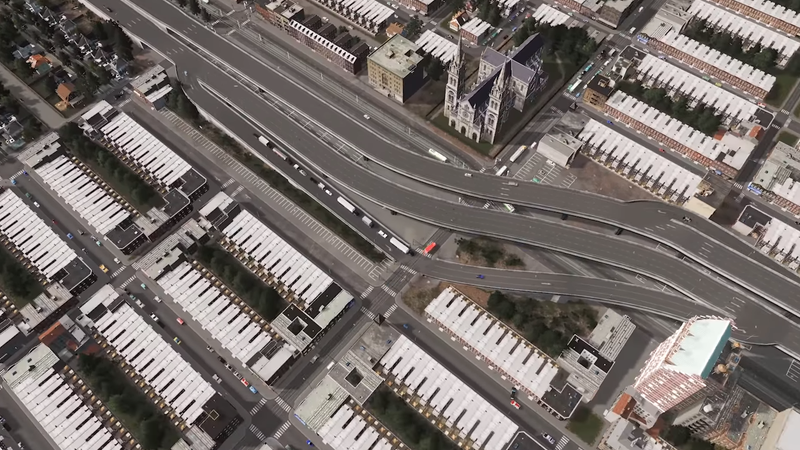 For example, in a video dedicated to showing how urban freeways came to be built, Roczniak uses Skylines to explicitly show the human cost of the implementation of freeways through cities. He tells little fictional stories about apartments and storefronts before wiping them away to plop down a road. One of those is about Mohammed. Mohammed is a shopkeeper with a cat who dislikes belly rubs. He’s planning to buy the building he lives and works in. It is demolished to make room for a freeway, and his compensation is two years worth of rent. Roczniak narrates this fictional story with a complete deadpan voice, and it makes it all the more chilling. As he explains, stories like this have happened across the U.S. during the 20th century in cities like New York, Detroit, and Baltimore. “People’s lives are buried in abutments and pillar foundations,” he says solemnly. That video is from “Power, Politics, and Planning,” a side series that takes on broader issues than the Franklin series, but both are committed to showing the human cost of urban policy making. And when you watch Roczniak play it out, you really get a sense of what those costs are. Roczniak is quick to point out the historical injustices between bosses and employees or slave owners and slaves and to track those injustices into our contemporary period. In one video, he explicitly calls to abolish ICE while explaining how the organization is an outgrowth of some of the systems of power that were developed during mercantilism. The connections between now and then are significant. When asked why he takes a specifically political angle with his YouTube videos, Roczniak explained that the Franklin series was originally intended to merely be historical and not necessarily political. “Of course it turns out staying ‘apolitical’ with regard to history is impossible so I just let the leftist politics run wild rather than try to hold to some absurd standard of apoliticality,” he noted. Letting the politics run wild allows Roczniak to delve deep into the relationship between historical facts and the cities that are created in the wake of that history. In his episode on the creation of the water system in the fictional Franklin, he lays out all of the wonderful and positive effects of water distribution before historically grounding how water was explicitly classed. The working class was too poor to get access to water or experience any cultural changes that came along with running water. At every moment, Roczniak is stressing that the history that he is modeling in his Skylines builds, in this case water management, is directly attached to what is happening right now in American politics. He’s showing that the vast infrastructural moves that have been made to historically support our urbanization techniques over the past few centuries have come at extreme costs in human life and happiness. From that perspective, from ICE to water management, it doesn’t seem like anyone can have a neutral perspective when it comes to the policies and organizations that operate in and around America’s urban centers. Roczniak’s video output is certainly unique both in the Skylines YouTube community and on YouTube in general. 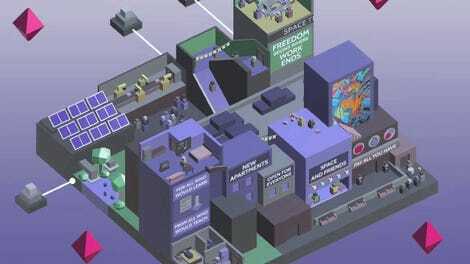 The platform has a notable contingency of right-wing content producers, and it is refreshing to see a creator in the video game space that is working to explain leftist issues through accessible video game build videos. When asked if he had any must-read texts or websites for people who find his show interesting, Roczniak said to join the“New Urbanist Memes for Transit-Oriented Teens” group on Facebook. As for other materials, Roczniak recommended Robert Caro’s The Power Broker and the same author’s Lyndon Johnson series for people who are interested in learning more about the concepts deployed in his videos. This seems to be the real change that Roczniak is after. Cities: Skylines videos are just a pathway to get there.